A grand celebration of drama and comedy performances and a magical star-studded night where some shows and channels aced the red carpet with the number of awards they took home. 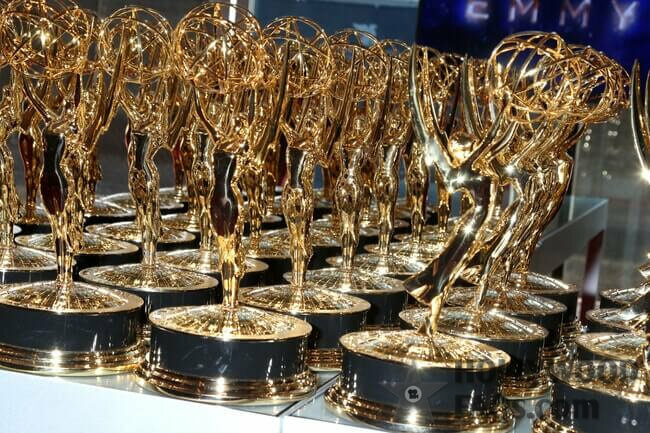 The 2017 Emmy Awards held on Sunday, September 17, 2017 evening witnessed stylish Hollywood star entries, emotional speeches and some impersonation acts (of even political figures) getting awarded, not to mention fresh comic series and drama shows made their way in, making the evening even more interesting. While Westworld, Handmaid’s Tale, This is Us, Stranger Things and The Crown made it big in the drama category of the award show, audiences have also proved their love for comedy as Veep, the political satire comedy TV series, The Atlanta, Saturday Night Live (SNL – satirical sketches), Master of None, Modern Family and Unbreakable Kimmy Schmidt on Netflix got generously voted for and bagged awards for their successful viewership ratings. HBO and NBC were among the biggest channel winners – while SNL on NBC broke all records with awards in nine different categories for the Variety Sketch series, HBO’s Big Little Lies bagged eight of them. The dystopian series, Handmaid’s Tale on Hulu however proved to be the most-watched and acclaimed show with eight awards to its credit too. Hosted by comedian Stephen Colbert this year in Los Angeles on CBS, the 69th Annual Emmy Awards saw awards and nominations for the following categories: Drama Series, Comedy Series, Limited Series, Television Movie, Lead/Supporting Actor in a Drama/Comedy/Limited Series, Lead/Supporting Actress in a Drama/Comedy/Limited Series, Supporting Actor and Actress in a TV Movie, Variety talk Series where Last Week Tonight with John Oliver won big, Reality Competition, Variety Sketch Series, Directing for Drama/Comedy/Limited Series/Movie/Dramatic Special /Variety Series, Writing for Drama/Comedy/Limited Series/ Movie/Dramatic Special/Variety Series. Julia Louis-Dreyfus earned her award for Veep for the Best Actress in Comedy series category while Donald Glover took the Best Actor for Comedy for his role in Atlanta. For This is Us, Sterling Brown was awarded the Best Actor in Drama Series Award whereas Elisabeth Moss was the big winner for Best Actress, Drama category for the Handmaid’s Tale. The Voice – the singing reality show was awarded the Emmy for the Reality Competition Program category while Shark Tank won awards in Structured and United States of America with W. Kamau Bell won the Unstructured Reality Program categories. As the last week’s award hand-over for Outstanding Guest Actress in a Comedy Series at Emmy’s Creative Arts Awards made it clear, Melissa McCarthy has become quite a sensation in her impersonation of Sean Spicer, former White House press secretary at SNL. Dave Chappelle meanwhile was felicitated with the Guest Actor, Comedy Award at the Emmy’s for SNL too. Alexis Bledel (Handmaid’s Tale) and Gerald McRaney (This is Us) scored high as the Guest Actress and Guest Actor for Drama Series at the Emmy Awards. While in the Limited Series, Riz Ahmed from The Night Of went on to win the Emmy’s, beating even the most-adored Sherlock Holmes on TV, Benedict Cumberbatch. The Award shows felicitating American TV shows and actors saw Sean Spicer making a surprise guest appearance as well. Both net streaming and television series got awarded and acclaimed as the evening was a mix of satire, comedy and drama in itself. While Colbert, Sean Spicer and Julia Louis-Dreyfus had comic references in their speeches, Nicole Kidman discussed about domestic abuse while accepting her award for Big Little Lies where she plays the wife who bears domestic violence, tearing up the audiences. US President, Donald Trump, however, became a common reference point for many during their speeches.